Search.pandaviewer.com is the PUP that uses misleading techniques to prevent removal. Use Reimage to locate malicious components and get rid of them faster than with uninstall instructions. A full system scan blocks virus reappearance and prevents traffic to malicious domains. Panda viewer has been classified as a browser hijacker and potentially unwanted program (PUP). 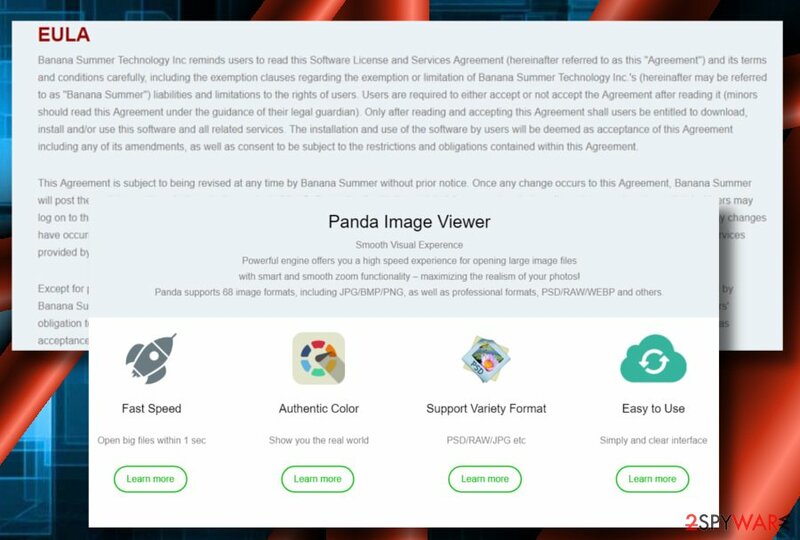 Although its developer, Banana Summer Technology Inc., represents the Panda Image Viewer app as a “fast, stable, easy to use image viewer for pc, laptop, tablet, and smartphone,” cybersecurity experts reported it being involved in suspicious activities. Once it enters the system, it injects an extension to Chrome, Firefox, IE, Edge, and other web browsers and sets Search.pandaviewer.com as a start page and Panda Viewer as a search engine. Upon these modifications, web browser initiates redirects to Panda viewer partner’s websites. The relationship between the Panda Viewer and Search.pandaviewer.com is not apparent from the initial inspection because the search looks like a regular search engine  that promises to provide the users with “a fast and easy way to search the web.” However, using it for a while reveals that it’s mainly used to promote Panda Viewer services and its partner’s websites. In fact, people behind Panda viewer malware may try to sneak this program on the computers against the user’s will, by secretly bundling it with freeware or shareware applications. Once on the computer, the advertisers may go through a similar process when trying to foist the users the Panda Image Viewer Secure Search extension. While we can’t tell whether this product is safe to use or not, we should point out that reputable service providers rarely choose such questionable means of letting the world know about their work. If you are not happy with the sudden change of your default search engine and homepage, the only way to revert the changes is to remove Panda viewer virus from your computer unhesitatingly. We recommend you to perform Panda viewer removal with reputable antivirus software like Reimage. Make sure to update definitions of your security software, and you’ll see that this program is detected as a potentially unwanted browser hijacker . Most of AV engines recognize the PandaViewer.exe file to be potentially dangerous. Search.pandaviewer.com is a search engine designed to promote third party software rather than provide a reputable search service. Be careful with it! In a nutshell, we do not recommend keeping it installed. Eliminate it without a delay by launching security tool or following manual removal guide provided down below. The problem with this PUP is that it is not heavyweight enough to be noticed by automatic malware detection software, so it may travel bundled together with freeware and shareware applications and install on the computer completely unnoticed by the users. This is highly determined by the fact that users fail to run the installation properly. They often choose quick installation instead of a more detailed one, this way unknowingly allowing unwanted apps to enter the computer.To prevent this from happening, always opt for Advance installation option and unmark “recommended” tools that are marked by default. If Panda viewer malware stealthily entered the system and forcefully altered your web browser’s parameters, make sure to respond immediately by running your antivirus and resetting the changes. Since the app tends to spread bundled with freeware, it might not be the only PUP residing in the system. Thus, we would strongly recommend you to run a full system scan to remove Panda viewer virus along with its companions. After that, you’ll have to delete Search.pandaviewer.com search from your browser. This can be done by manually resetting web browser’s settings. You can find a thorough PUP elimination guidance down below. Here you will find instructions on how to get rid of Panda viewer without the use of additional software. Here, look for Search.pandaviewer.com or any other recently installed suspicious programs. Wait until you see Applications folder and look for Search.pandaviewer.com or any other suspicious programs on it. Now right click on every of such entries and select Move to Trash. In the instructions below you will find steps that will help eliminate the PUP from your browser. When in the new window, check Delete personal settings and select Reset again to complete Search.pandaviewer.com removal. Your Microsoft Edge can only be liberated from Panda viewer virus by resetting the browser and cleaning up suspicious entries. Once these steps are finished, Search.pandaviewer.com should be removed from your Microsoft Edge browser. Here, select Search.pandaviewer.com and other questionable plugins. Click Remove to delete these entries. Now you will see Reset Firefox to its default state message with Reset Firefox button. Click this button for several times and complete Search.pandaviewer.com removal. Here, select Search.pandaviewer.com and other malicious plugins and select trash icon to delete these entries. Click Reset to confirm this action and complete Search.pandaviewer.com removal. Here, select Extensions and look for Search.pandaviewer.com or other suspicious entries. Click on the Uninstall button to get rid each of them. Here, look at the Homepage field. If it was altered by Search.pandaviewer.com, remove unwanted link and enter the one that you want to use for your searches. Remember to include the "http://" before typing in the address of the page. Now you will see a detailed dialog window filled with reset options. All of those options are usually checked, but you can specify which of them you want to reset. Click the Reset button to complete Search.pandaviewer.com removal process. ^ What is a search engine?. BBC WebWise. Discover media and technology on BBC WebWise. ^ Bundled software. Webopedia. An online dictionary and Internet search engine for information technology and computing definitions. 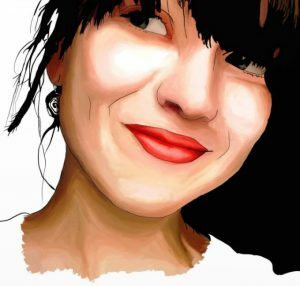 ^ Mike Dowler. Beginners guides: browser hijacking . PCstats. PC Hardware Reviews and Guides - Get The 'Stats and Stay Informed!. ^ Novirus. Novirus. Spyware and Virus news. ^ Slow computer and high CPU usage? A possible solution. Techspot. Tech Enthusiasts, Power Users, Gamers. This entry was posted on 2019-04-01 at 01:44 and is filed under Browser Hijackers, Viruses. 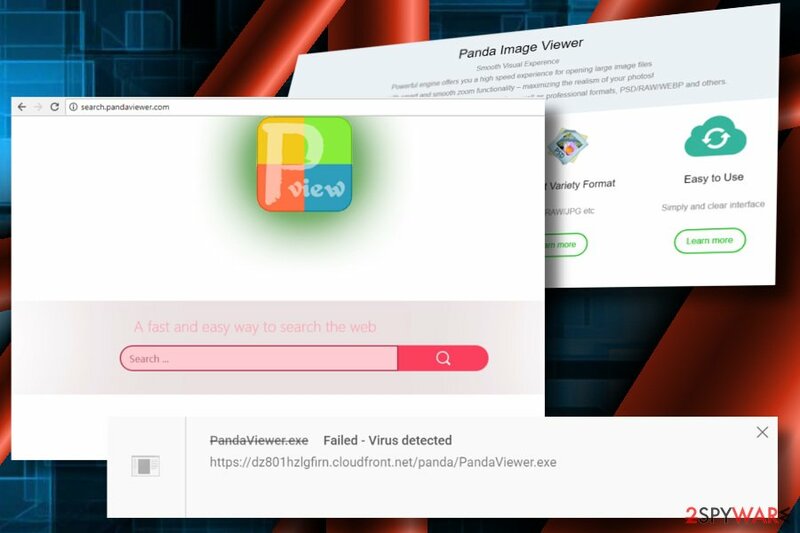 You can quickly scan the QR code with your mobile device and have Search.pandaviewer.com virus manual removal instructions right in your pocket. How did you remove Search.pandaviewer.com virus?